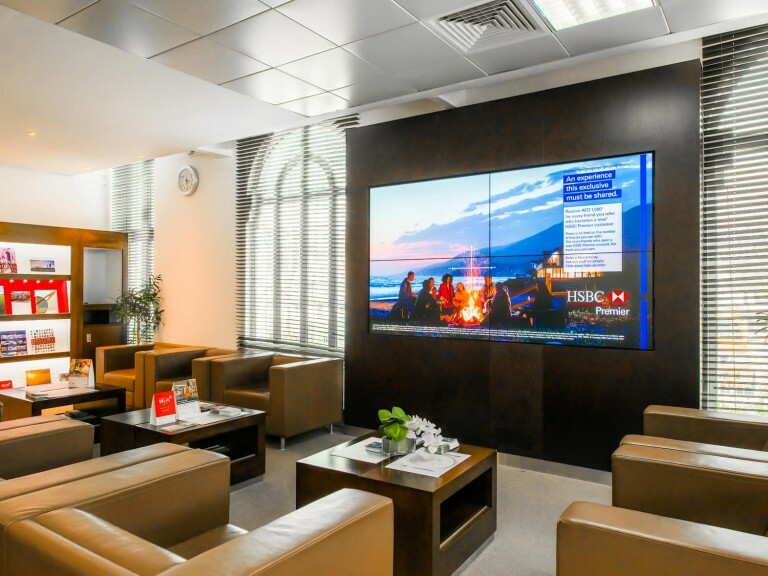 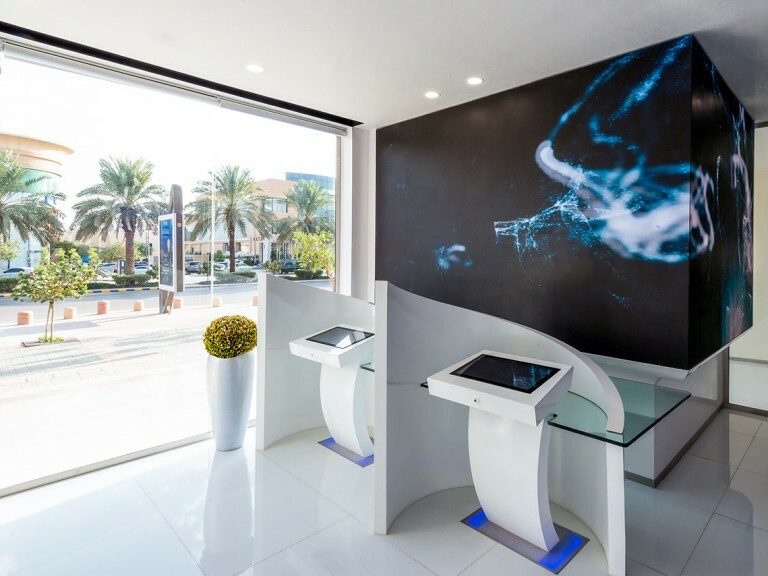 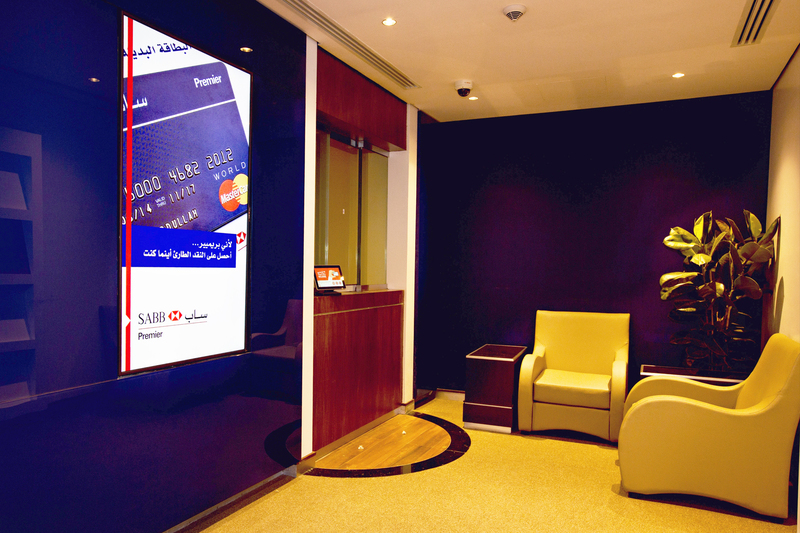 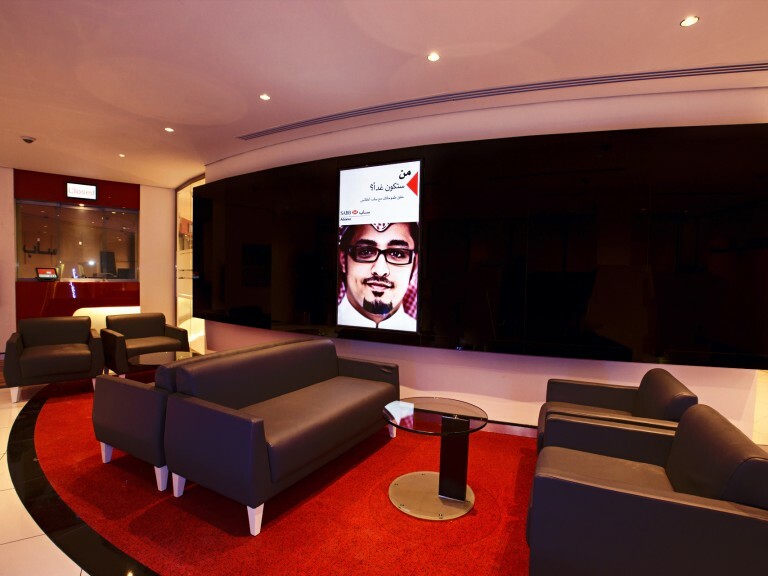 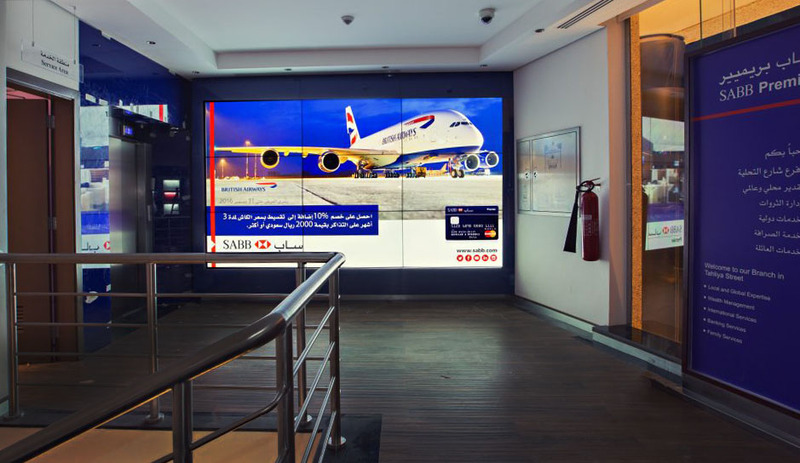 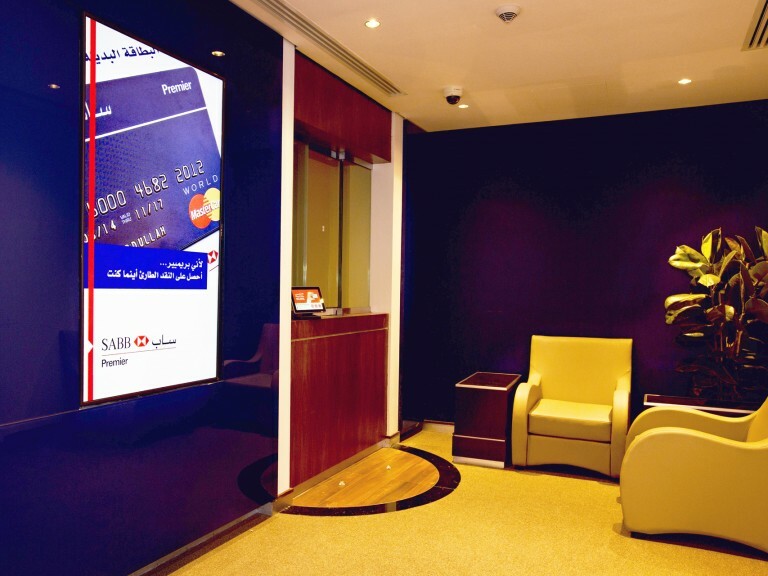 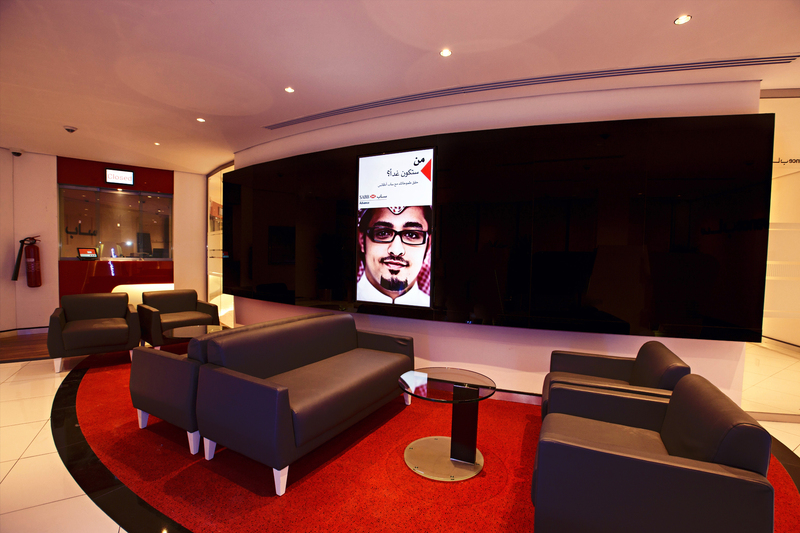 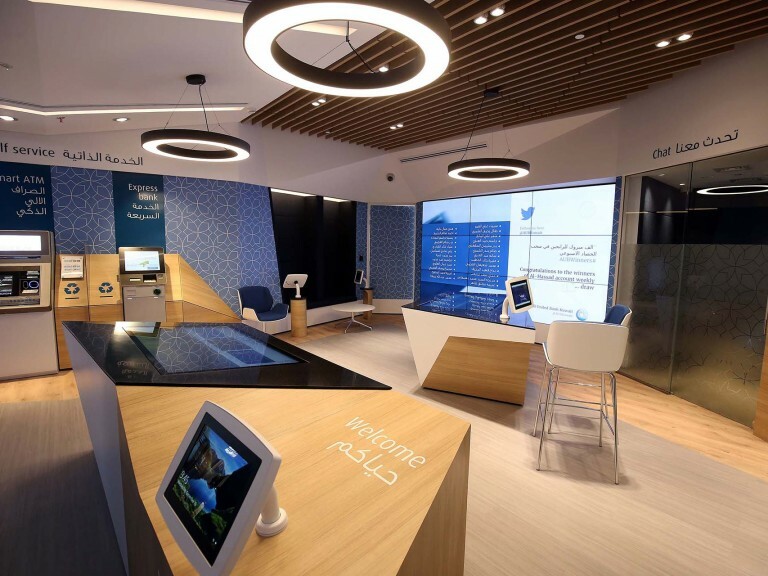 Visits to the SABB Premier location of Saudi British Bank in Riyadh are NOW memorable after the branch was transformed by 2.0’s digital technologies, with a variety of displays and technologies connecting with customers and communicating the bank’s brand. 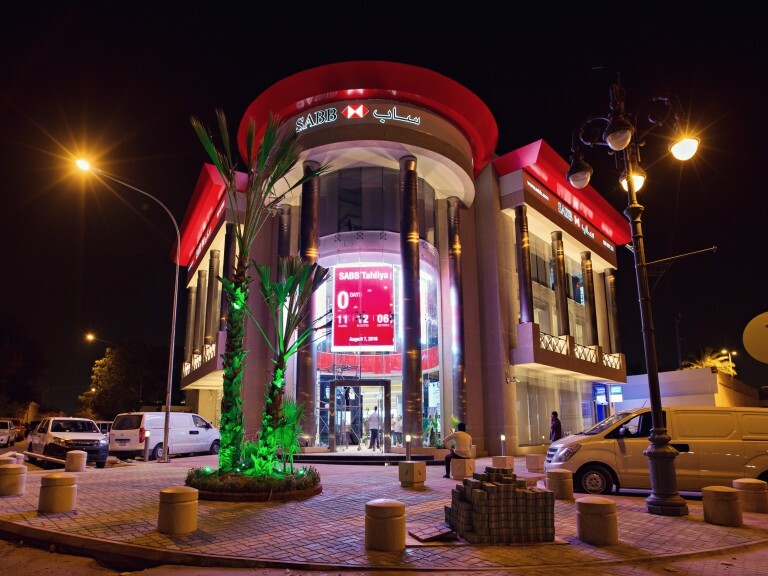 The premier customer bank branch, associated with HSBC, is located on Riyadh’s fashionable Tahlia Street, one of Riyadh’s most important high streets. 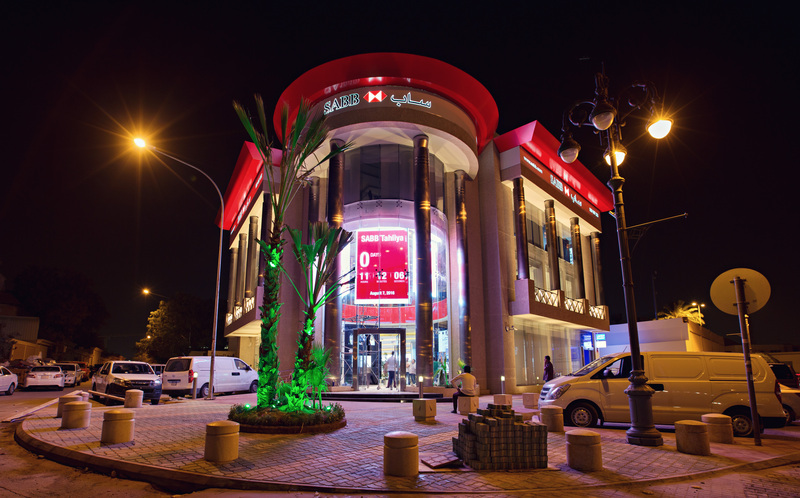 That corner location demanded a memorable customer experience that started outside on the street and carried through to inside. 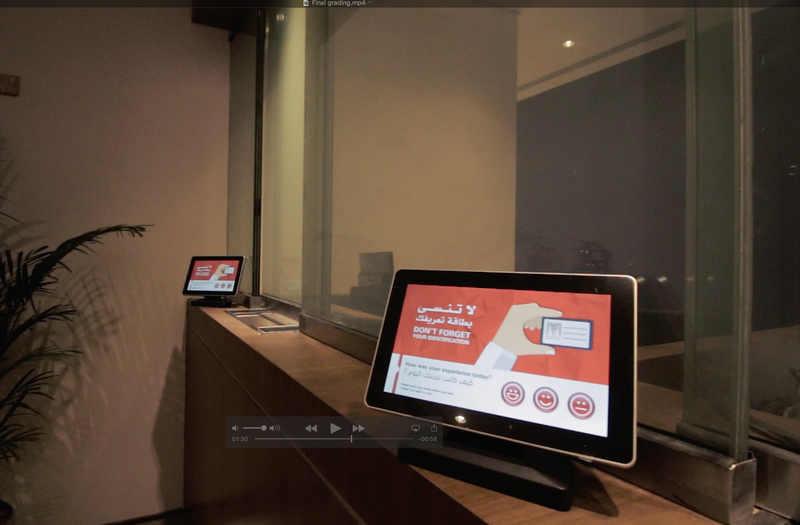 The branch all runs off 2.0 partner appspace’s content management platform. 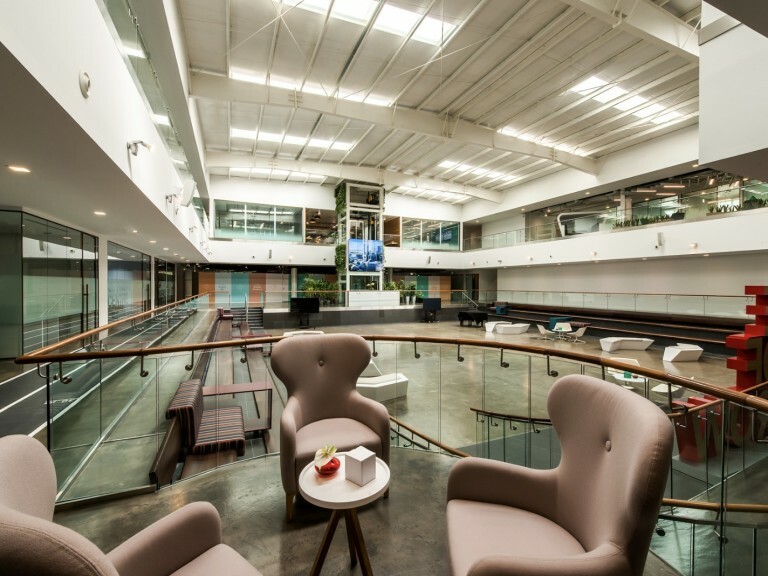 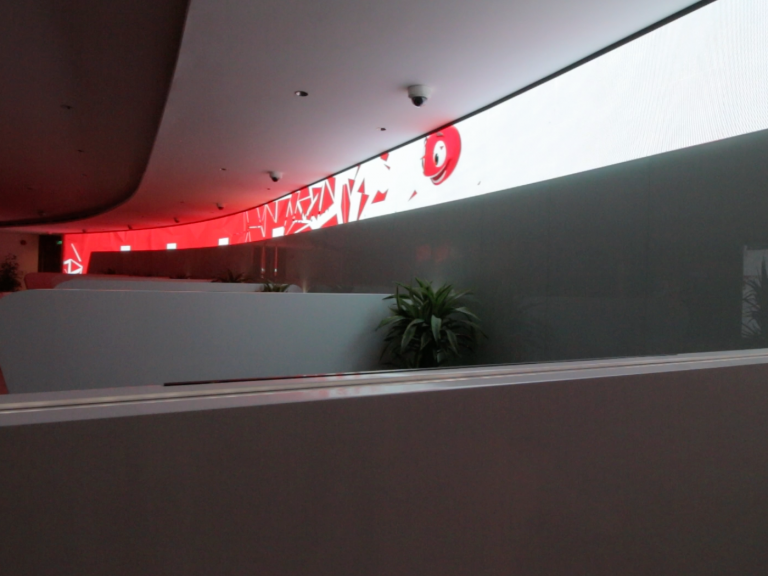 To maintain the integrity of the building’s beautiful glass facade, facing the high street, 2.0 put in three huge 2m x 3m transparent LED displays, suspended from the ceiling. 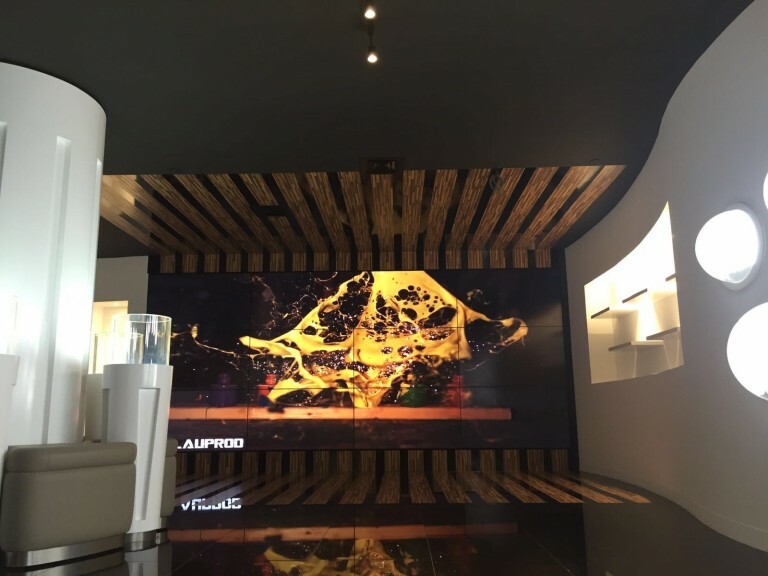 The mesh-like displays deliver powerful motion graphic visuals on the windows, without blocking natural light or the view from inside. 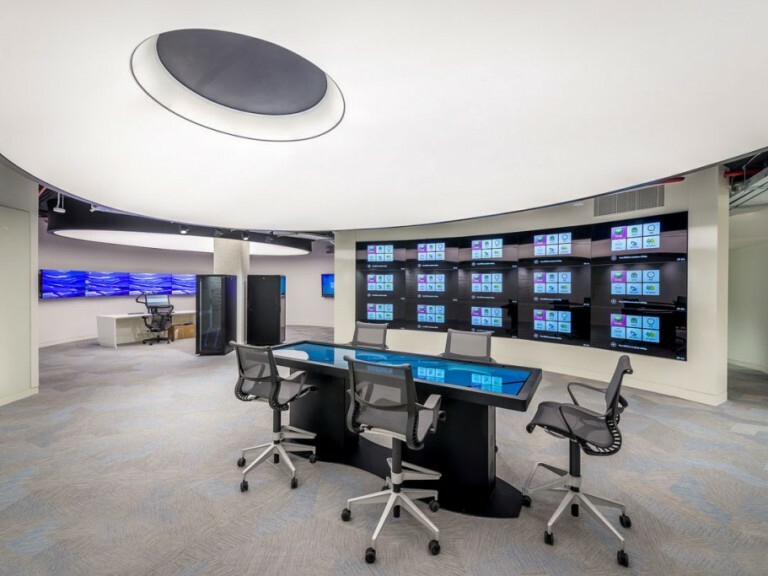 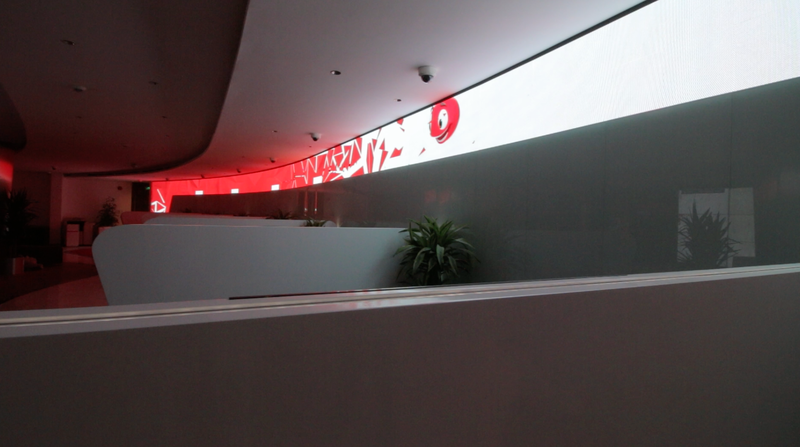 There are four multi-screen video walls around the three-level branch, as well as a pair of 20-metre wide LED ribbon walls in the customer service area. 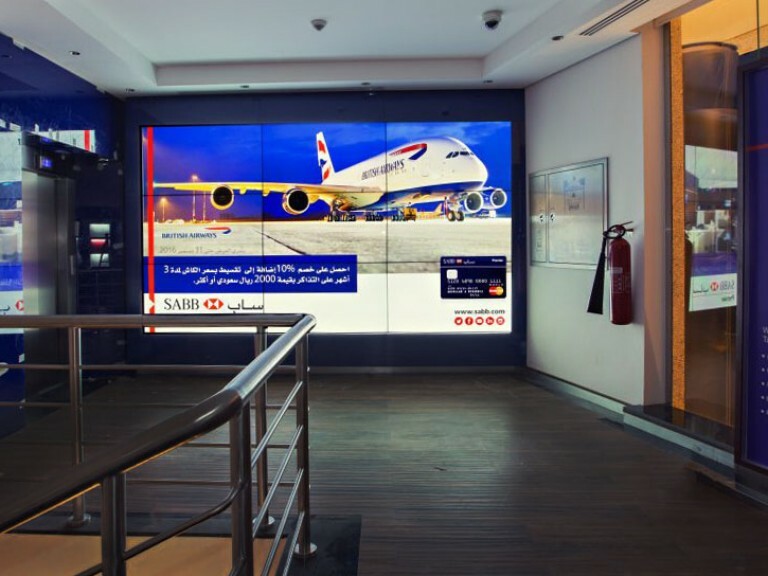 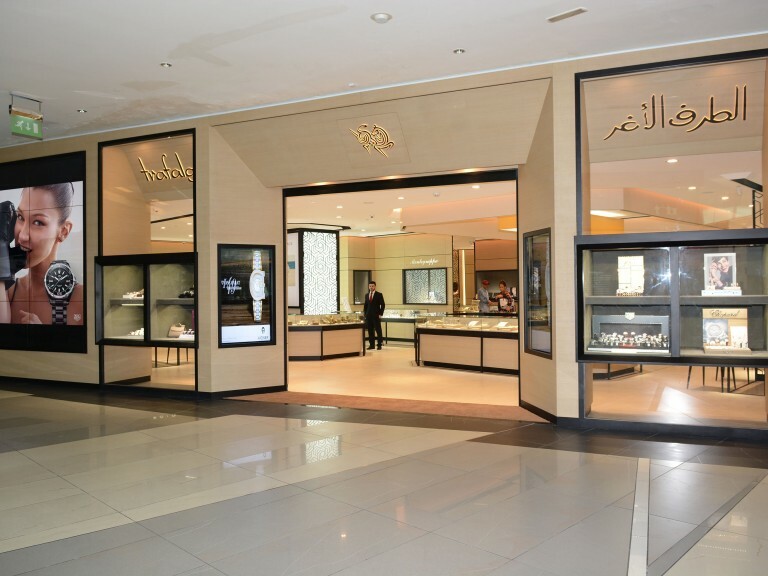 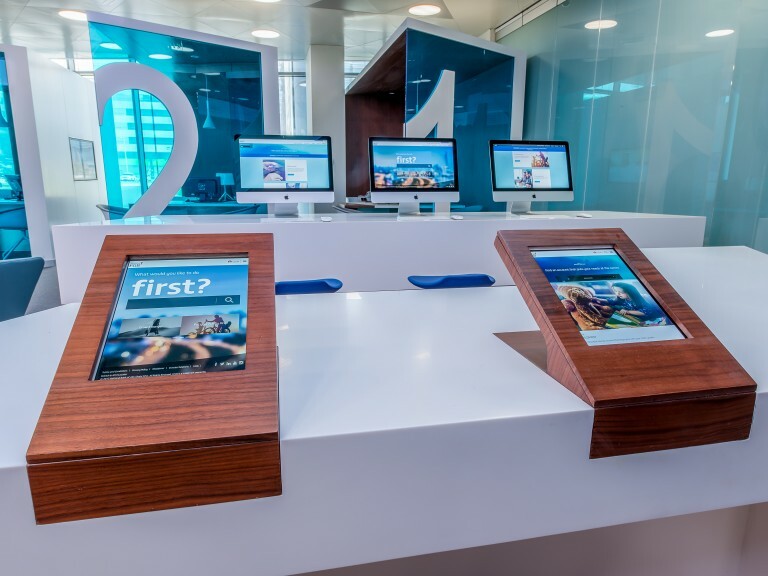 The display is integrated with a queue management system, blending artistic content and marketing and promotion messages in the branch with a system that directs waiting customers to service representatives.